Geraldo Rivera Panicking After Damning Video Leaks – Is He The Next Matt Lauer? 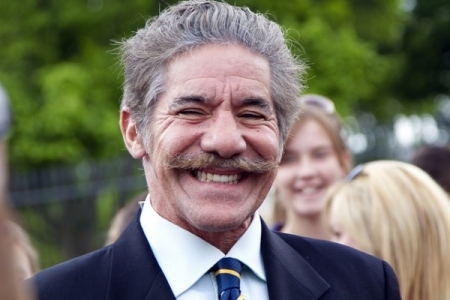 Geraldo Rivera is like a broken clock: He’s right twice a day, but no more than that. He has a way of lodging his foot firmly in his mouth that I’m sure is envied by even the most practiced of contortionists. And he’s done it yet again by actually tweeting that he is sorry to see Matt Lauer go, after the NBC host was axed for sexually harassing/assaulting his female co-workers. But it doesn’t end there. Bette Midler, raging feminist and generally angry human being, decided it was her duty to dredge up an old video from the bowels of the interwebs as a way to expose Rivera for also being a pervert. As for “courtship,” the man is freaking married for crying out loud. Courtship is out of the question. Following Rivera’s posting of this inane tweet, Midler released a video of her own. The video, which is 26 years-old, shows Midler discussing how Rivera came on to her, but she didn’t sleep with him. This was contradictory to what he wrote in his auto-biography at the time, where he claims that he did, in fact, bed her. In response to the uproar, Geraldo pulled an Obama and told us that we didn’t understand what he meant in his initial tweet. Does he have some skeletons in his closet that might come tumbling out soon? We’ll have to wait and see.